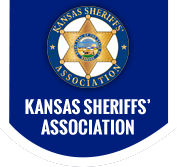 The Osage County Sheriff's Office is currently seeking Kansas certified law enforcement applicants for a School Resource Officer (SRO) deputy sheriff position. The applicants must be prepared to work in a proactive law enforcement agency in busy rural setting. Osage County is located south of Topeka and southwest of Kansas City with two Federal Lakes and one State Lake. Pass the background investigation, and psychological exam. A valid Kansas driver’s license with an acceptable driving record. Must be of good moral character, no felonies, no domestic battery conviction or diversions, or certain misdemeanors. This job will require shift work, weekends, and holidays. Applications are available at www.osageco.org or at the Osage County Sheriff's Office at 131 W. 14th, Lyndon, KS 66451. For more information call 785-828-4657. The Osage County Sheriff's Office is an Equal Opportunity Employer.